“In less than two years, my administration has accomplished more than almost any administration in the history of our country,” Trump said at the beginning of the speech. 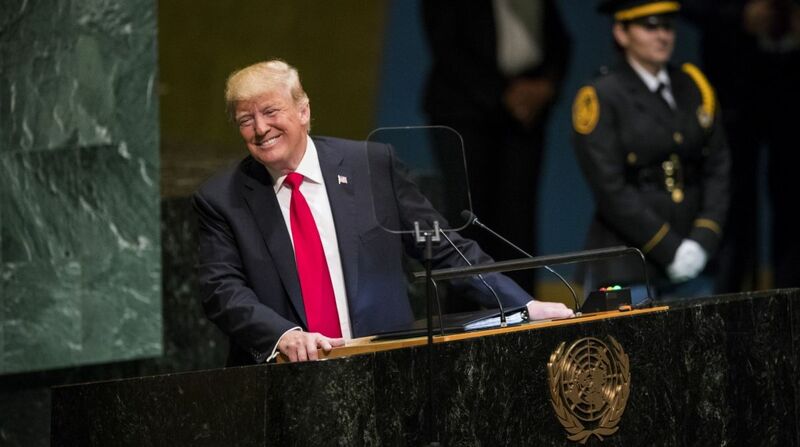 US President Donald Trump triggered laughter at the UN General Assembly (UNGA) while giving an exaggerated speech about his economic achievements to the world stage. Trump, who is highly sensitive to public criticism, made a risky move on Tuesday when he deployed the same discourse he uses with his constituents during political rallies at home in a speech he gave to the world leaders, provoking awkward laughter in the meeting hall, reports Efe. The delegations present then tried to iron out the issue by interspersing some applause with laughter, but soon distanced themselves from Trump’s nationalist rhetoric by remaining silent for the rest of the speech, without applauding any other phrase.